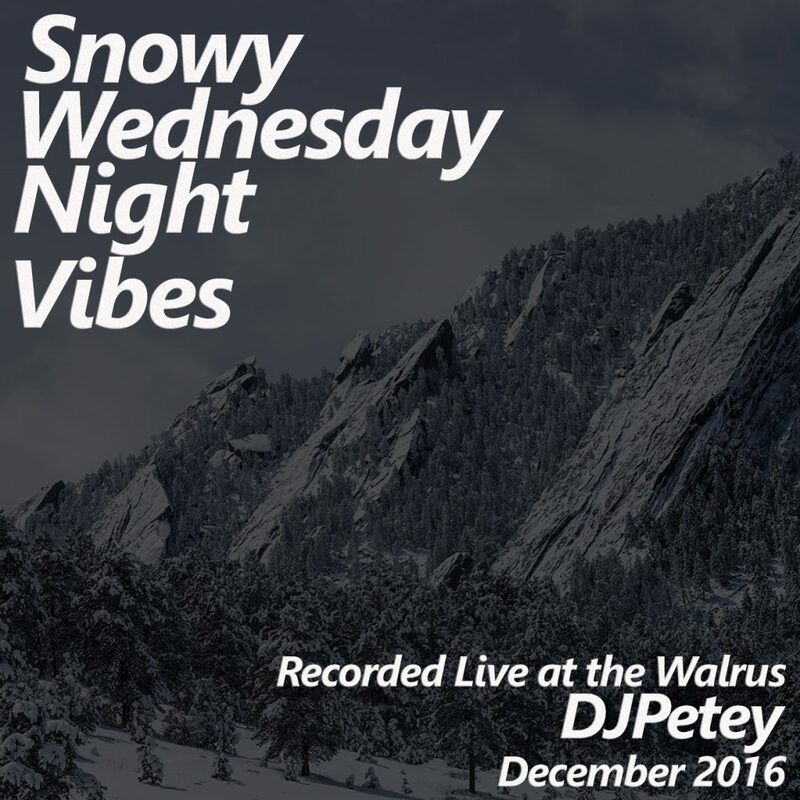 New Mix – Live at the Walrus December 2016- Snowy Wednesday Night Vibes | DJPetey.com!!! Most nights of my life, I DJ a crazy party! Which I love! 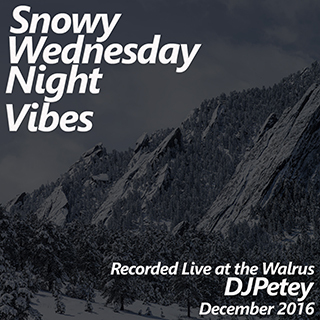 BUT, sometimes its a snowy wednesday night at the walrus during christmas break in Boulder and we get to vibe out. Maybe 30-40 people on the dancefloor. Another 30-40 people at the bar or playing pool. I LOVE these nights! So, I went ahead and recorded one and threw it up on the site for you all. 80 mins of good music! Mixed live at the Walrus. If you wanna listen or download now, click HERE on any device to get started. If you wanna check out the track listing, click “read more” below for more details. As always, if youre a podcast subscriber, you already have it. Next stop is New Years Eve! Ill be at Walrus again this year with the homie, DJ Jerry Mane. Hope to see you all there if youre in Boulder! « New Years Eve 2017!! !